Who is a Reverse Mortgage Designed For? Reverse mortgages are designed for homeowners at least 62 years of age with moderate to significant equity in their homes who want to eliminate their mortgage payment and/or receive additional cash. What Art the Limits to How I Can Spend the Proceeds? You can use the money you receive from your reverse mortgage any way you would like, everything from medical bills, to credit card debt to remodeling your home. There are no limits to how you can use your proceeds. What If There Is Already a Mortgage on My Home? Any existing mortgages will be paid off at closing. Then you’re free to enjoy the financial freedom that comes along with eliminating your mortgage payment. You are still responsible for maintaining the property, paying property taxes and insurance. 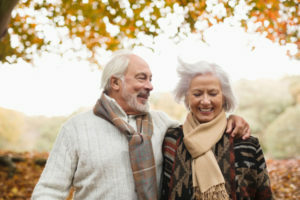 Do My Spouse and I Both Have To Be 62 Years or Older? What Types of Homes Do Not Qualify for a Reverse Mortgage? What Tax Liablity Will I Have for a Reverse Mortgage? What About a Home in a Living Trust? Will the Money from a Reverse Mortgage Affect Social Security, Medicare or Pension Benefits? Can the Interest Charged on My Loan Principal be Tax Deductable? If There Are No Payment, What Are My Responsibilities? When Does the Reverse Mortgage Loan Become Due and Payable?